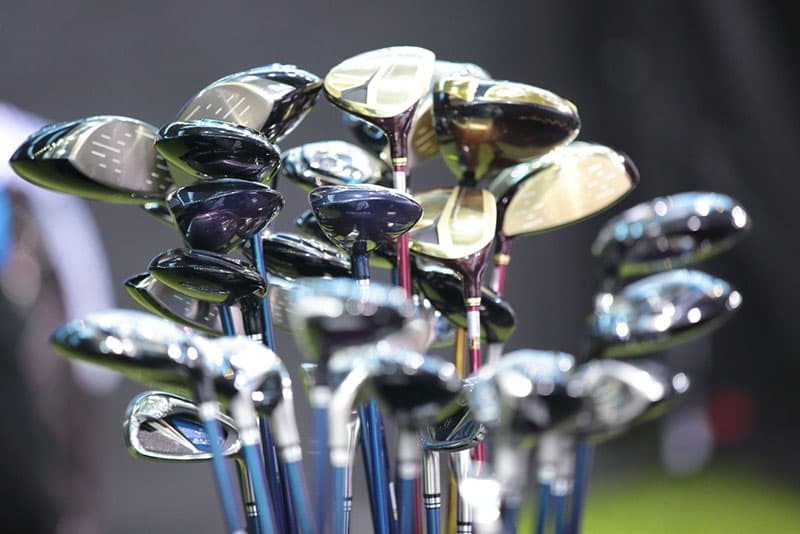 Your set of golf clubs is truly a long-term investment. It might seem like it costs a lot up front to buy the entire set, but when well taken care of, they will last for years. One way to make sure your clubs perform well for years to come is by keeping them clean and maintaining them properly. And now is a great time of year to take time to do a deep cleaning. While golf is a year-round sport here at High Meadows Golf & Country Club, the onset of autumn means more rainy days and cooler temperatures. Take advantage of the rainy days to do a little maintenance, so on the days when the sun is out and the sky is blue, you’re in great shape to play a round of golf! Here are a few tips to clean and maintain your golf clubs to keep them in good shape for years to come. A little dirt stuck in the indentions of the club head can throw your shot off track. You should always keep a towel on your golf bag to wipe off any dirt or grass that gets on the club while you’re playing. But a thorough cleaning is also a good idea. Using a soft bristled brush, such as an old toothbrush, gently clean the club heads with a mild detergent. Make sure to dry them off well before putting them back in the bag for storage, to prevent rust. Believe it or not, your grips also help you perform better when they’re clean. Just take a moist towel with a mild detergent to wipe them off. Do not use detergents on leather grips, warm water is enough, but make sure to dry them really well before storage. You can also use cleaners made specifically for grips, or even a glass cleaner to clean your grips. While you’re cleaning the club heads and grips, you should also wipe down the shafts with a soft towel, looking for any dents, nicks or splits in the shaft. If you find major issues, you might consider replacing the shaft. It is easy to just throw your set of clubs in the back of the car, so they’re readily available for any game. But the trunk of the car can be a dangerous place. High heat in the summer months can cause the breakdown of the apoxy on the grips and club head. A climate-controlled room is a better option for storage, even in the winter. Also, protect woods with head covers and store upright, to minimize the chance of clubs knocking against each other and damaging the club heads. After you’ve cleaned and inspected each club thoroughly, if you’ve found any problems bring your clubs into our golf shop at High Meadows. Our pros, Todd and Tim, are both experts in golf club repair. In addition to regular maintenance, they can also customize your club to match your swing, so that next time you’re out on the course your friends will be amazed to see you coming in a few shots less. Fantastic pro’s and golf course.